Ástríðr had this stone raised in memory of Jóarr/Ívarr, her husbandman; and Ingvarr and Ingifastr in memory of their father. May Michael protect his spirit. 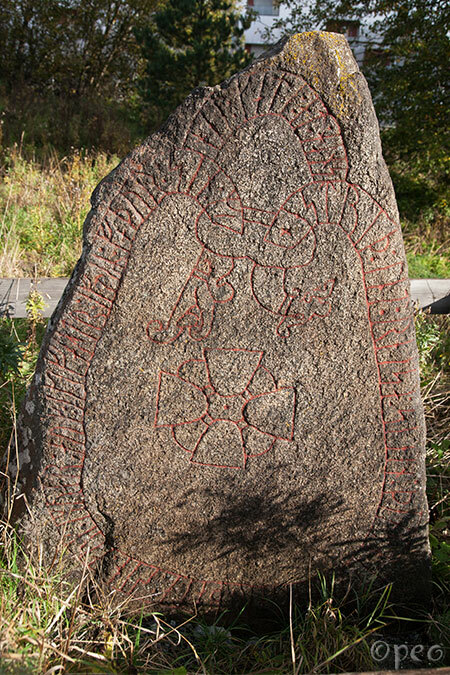 This rune stone is standing a few meters away from the railway track, north of Knivsta railway station.